Harper suffers from trichotillomania (hair pulling) and excoriation (skin picking, also known as dermatillomania), two of several disorders collectively known as body-focused repetitive behaviors, or BFRBs. The umbrella term includes a number of repetitive “self-grooming” habits that can cause damage or injury through pulling, picking or scraping, or biting the hair, skin and nails.Many people engage to some extent in nail biting or skin picking. But when these behaviors become extreme and out of control, they are regarded as serious disorders. Historically, BFRBs had been considered impulse-control disorders, along with kleptomania and gambling addiction. However, in the most recent edition of the Diagnostic and Statistical Manual of Mental Disorders, BFRBs are categorized as obsessive-compulsive disorders, or OCDs. “The truth is, they probably belong in an in-between category,” Woods says. Although now regarded on the same spectrum, the two actually are quite different. Classic OCD occurs when someone experiences uncontrollable, recurring thoughts — such as a disproportionate fear of germs — and behavior she or he feels compelled to repeat over and over, such as excessive hand-washing. Impulse-control disorders, on the other hand, typically involve an inability to resist a potentially harmful or self-destructive urge. An estimated 2 percent to 5 percent of Americans suffer from trichotillomania, or hair pulling (which includes eyelash pulling) and 5 percent from skin picking, the two most-common BFRBs, according to the TLC Foundation for Body-Focused Repetitive Behaviors. Other BFRBs include hair or skin eating, lip and cheek biting, tongue chewing and compulsive hair-cutting, according to the foundation, a nonprofit based in Santa Cruz, Calif. Researchers believe that these disorders probably have a genetic component, because they tend to run in families. Scientists are studying the genes of affected people, trying to identify markers that can provide clues to their origins. 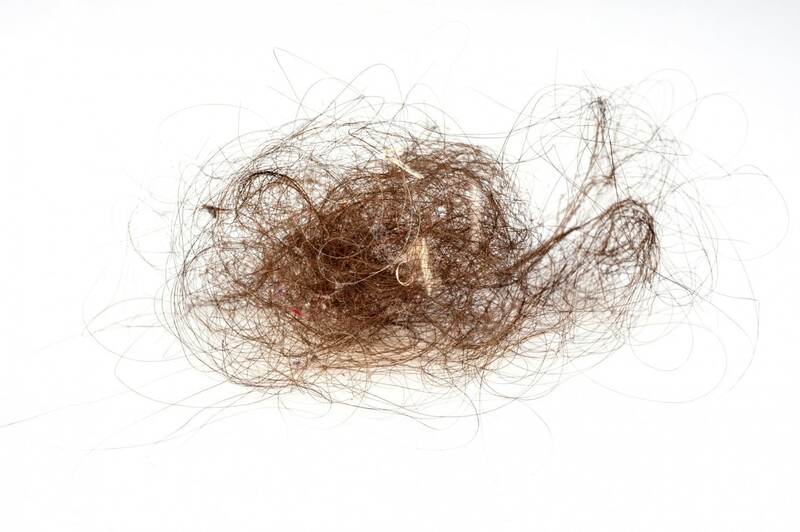 Several studies have shown a familial connection; one, for example, found higher rates of OCD in immediate family members of those with extreme cases of hair pulling than in the general population. Also, evidence from a twins study suggested a higher occurrence of hair pulling in identical compared with fraternal twins. Research also has shown differences in the brains of people with these disorders compared with the brains of those who don’t have them. Woods agrees. “The behaviors seem to be both a problem of a habit gone awry and a way of coping with emotional distress,” he says. Medication such as clomipramine, an antidepressant used to treat OCD, can help, but experts say the most effective therapy is behavioral. There are two frequently used approaches. The first is habit-reversal training, which teaches patients to be more aware of their pulling and picking, and its cues, and trains them to use a “competing response” when the urge hits, such as clenching the fist with the hair-pulling hand and pressing it to the side of the body. Because people often are unaware of when they pull or pick, some have found that using an app-equipped bracelet called Keen helps control the habit. The bracelets are programmed to detect when the behaviors begin, then send a gentle vibration to alert the individual to stop. The bracelet has not been studied in clinical trials, but anecdotal reports suggest it can be a valuable tool. Its price starts at $129. Lesley Stevens, 37, an online content creator who lives near Phoenix, is a hair puller, skin picker, nail biter and thumb sucker. She wears one bracelet on each wrist — because she picks and pulls with both hands — and says they have been very useful in keeping her habits under control. “They buzz my wrist and make me aware when I’m doing anything I have trained it for,” she says. For Harper, the Texas teenager, connecting with other BFRB people “who completely understand my struggles” has enabled her to cope, as has attending therapy workshops “that remind me that I am so much more than my BFRBs.” She says she still struggles “a little” with skin-picking, “but it doesn’t control my life anymore, and being open about it allows me to not be ashamed,” she says. Next PostNext We can all make a shift. Lets take the leap. We can all make a shift. Lets take the leap.